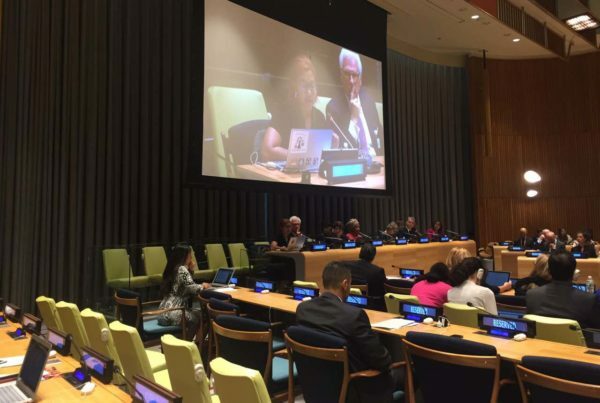 APWLD as part of the Women’s Major Group has stated our position for the upcoming High Level Political Forum (HLPF 2019), “Empowering People and Ensuring Inclusiveness and Equality”, to be held in New York. Women today find ourselves in very difficult times. We see this in rising protectionist governments; xenophobia, misogyny, and discrimination; governments turning more inward and backward to the detriment of the world; and power ever more concentrated among elite and corporations. 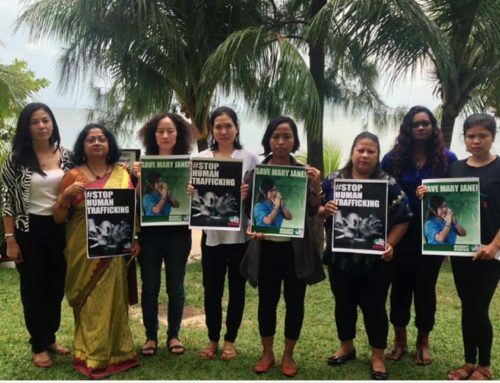 We see this in environmental destruction, violations of women’s human rights, privatization of public goods, and further marginalization and exclusion. It is hard to see a light at the end of a long and dark tunnel. 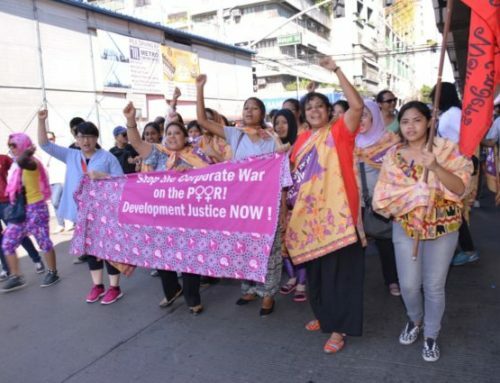 Colonialism and unbridled neoliberalism’s effects – including massive poverty, unemployment, landlessness – interacting with patriarchy and other systems of oppression, reinforce inequalities, deny women agency, and block progress towards sustainable development. Realising the transformative intent of the Sustainable Development Agenda and ensuring women’s human rights and gender justice require more than just efficiency; it must be purposeful. We cannot allow for siloed responses to the world’s multiple crises. This Agenda’s success necessitates political changes so the Sustainable Development Goals (SDGs) truly benefit the marginalised and systematically excluded. There must be a profound shift from the dominant yet discredited fixation on economic growth to institutionalised leadership for development, justice and peace. 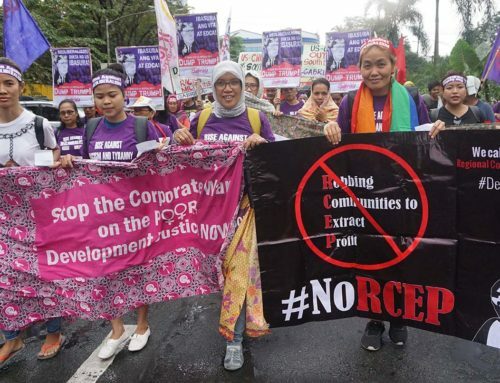 This means moving away from extractivist industries, military investments, and emaciated humanitarian, gender equality and human rights action, and reorienting towards empowering feminist and social movements and human rights for all. Governments, corporations, the military industrial complex, international financial institutions, and other power holders must be held accountable to human rights and commitments to leave no one behind. SDG 17 – Finance and trade rules that restrict poor countries’ policy space to follow their human rights and development objectives must change. 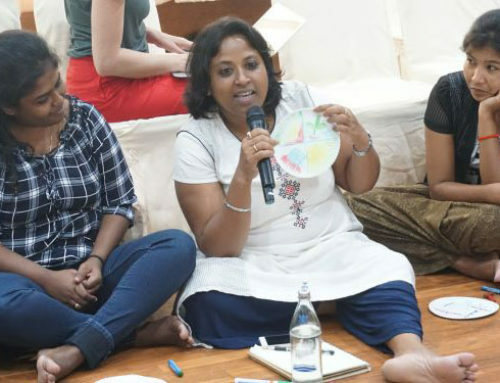 SDG 16 – Militarized economies must shift to economies guided by human security of all — women and girls, indigenous, LGBTI, disabled, refugee, and other marginalised communities across the lifespan — for just, equitable, and nonviolent governance. 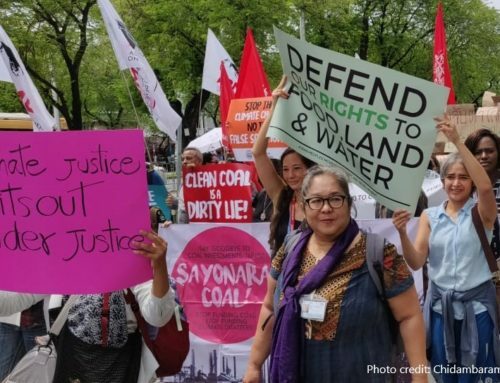 Governments must prevent attacks and ensure safety and leadership of women human rights defenders, peace activists, and environmental defenders. Portability and progressivity of rights should be ensured. SDG 13 – Unaccountable leaders guided by irrelevant ambitions are bringing irreparable consequences to our biosphere and population. Agenda 2030 is the lighthouse to guide measures to remain under 1.5 degrees, ensuring ecosystem integrity while promoting gender-responsive climate action and women’ s participation. SDG 10 – Policy coherence and strengthening the public sector is critical to reduce inequalities between and within countries. This requires reforming macro-economic dynamics. Goals 10, 16 and 17 are closely intertwined: illicit financial flows, unfair trade rules, debt unsustainability, and undermining by international financial institutions of developing countries’ right to development must be addressed. SDG 8 – Corporations can help realise SDGs when they pay taxes, refrain from predatory practices, and ensure labour rights and decent work and working conditions. Social protection is a far more solid priority than private investment. It is also the entry point to macro-economic dimension of unpaid domestic and care work, and other challenges around women’s economic rights. SDG 4 – We expect meaningful and comprehensive facilitation, support and strengthening of lifelong education and learning. Austerity and other measures impede investment in transforming people’s lives. Accountability cannot be postponed: Agenda 2030 was agreed voluntarily, but it should be technically and politically promoted by the High Level Political Forum. So far HLPF has proven a disappointing space. Unless it transforms modalities to deliver follow-up and review processes needed to advance the 2030 Agenda for women and girls of every age, place, ability and status, it remains an empty shell. Click here to download and read the full position paper.